Harpo is the new head of communication having seen off 19 other candidates following a quickfire 24 hour interview process. Asked whether there weren't any better qualified English applicants, Charlton CEO, Katrien Meire said " it's a moot point ". Unveiled at a hastily arranged press conference, Harpo honk, honk, honked which the assemble press corps took as an indication that he was speechless. Katrien went on to say that she didn't want put words in his mouth but felt that Harpo is the prefect person to articulate Roland's vision and plan for the future. Asked whether Harpo's appointment was the first step in opening dialogue with Roland, Katrien said that she had already explained that and didn't want to harp on about it. 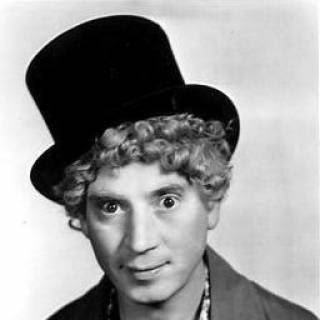 It is understood that Harpo has a straightforward 18 month contract with no strings attached. It's been suggested that the contract contains a sanity clause but hey, we all know there is no sanity clause. Harpo can play anywhere but is probably best suited in the string section although it's felt Guy Luzon may put him in the brass section to counter-balance the opposing brassed off section. Rumours are currently circulating on Twitter that Pinocchio's application was immediately dismissed despite having an impressive CV. The fact that there are no puppets at CAFC has clearly gone against him. That and the slight disadvantage that he has should he ever utter an untruth ! This latest announcement has left me speechless... I was hoping for a more colourful appointment... Still, there it is in black and white for all to see! Excellent post - who will play the harp? They were going to appoint Billy Liar as his assistant but then they remembered that his sister is the CEO. More rubbish from the exenophobes n their ilk on ere. a2c is an exenophobe someone who used to hate foreigners ? Yeah n still do juss like the ones who post on ere. a2c perhaps I've missed something. Is there some new south London patois that I'm not aware of ? By the way that's not a reference to paved areas at the back of houses. I'm no more a xenophobe than I am anti-sexagenarian.......just to explain that doesn't mean I'm against fornicating old folk ! You don't have to read or indeed comment on the rubbish I write and are in fact free to set up your own pro-Roland blog. Let me know if you do as I'm sure there are many who'd love to see you elucidate your point of view. Toodle pip ! a2c I seem to remember you complaining on another blog about people posting as Anon, so I've been meaning to ask you if a2c is your real name. Also if it is, do you have trouble spelling it occasionally. Glad you are enjoying the humour! That's the job I was suggesting for you a2c, you would have been ideal, too slow it's gone, never mind! What about Poet Laureate? Return Of The Saviour !